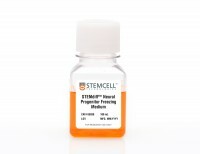 STEMdiff™ Neural Progenitor Freezing Medium is a serum-free medium for cryopreservation of neural progenitor cells (NPCs) derived from human embryonic stem (ES) cells and induced pluripotent stem (iPS) cells. 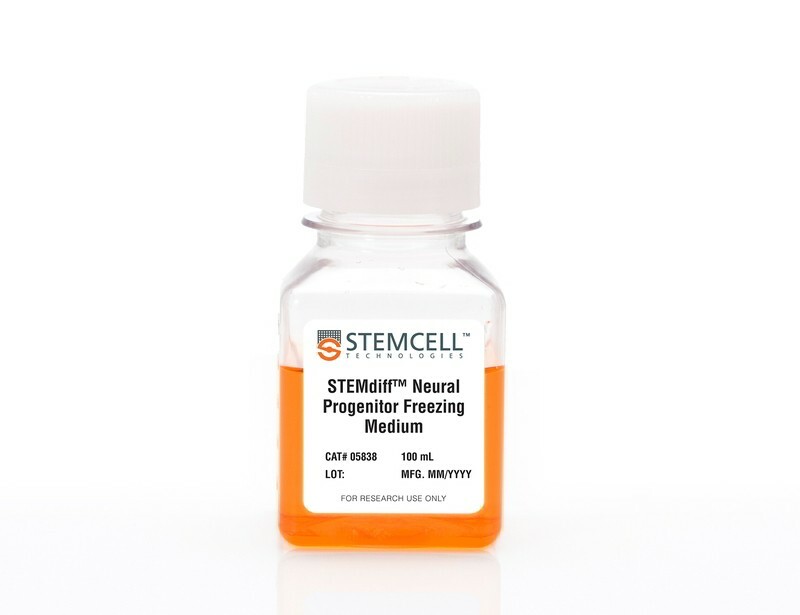 This freezing medium is optimized for the cryopreservation of NPCs generated using STEMdiff™ Neural Induction Medium (Catalog #05835) and cultured in STEMdiff™ Neural Progenitor Medium (Catalog #05833). NPCs can be frozen at any point post-neural induction, with reproducibly high recovery rates. Post-thaw, NPCs display healthy morphology, express NPC markers, and retain the potential to expand and differentiate into neurons. 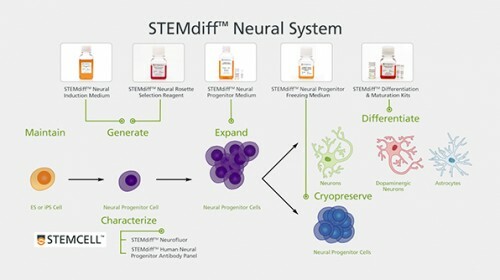 NPCs cryopreserved in STEMdiff™ Neural Progenitor Freezing Medium (NPFM) show reproducibly high recovery after thawing. 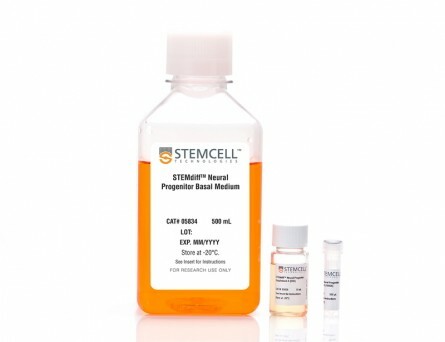 Recovery is comparable to cryopreservation in serum-containing medium (90% FBS / 10% DMSO). n = 3 independent experiments. 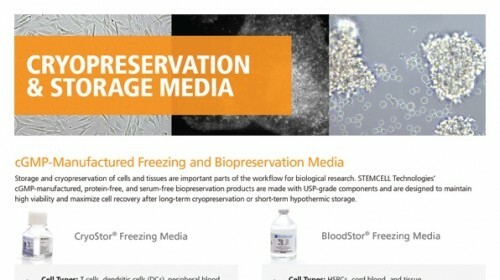 Percent recovery defined as percentage of cells frozen that remain viable after thaw. NPCs previously frozen in STEMdiff™ Neural Progenitor Freezing Medium display healthy morphology (A, one day after thaw), express NPC marker SOX1 (B, red) and can be differentiated into MAP2+ (C, red) and class III β-tubulin+ (C, green) neurons. 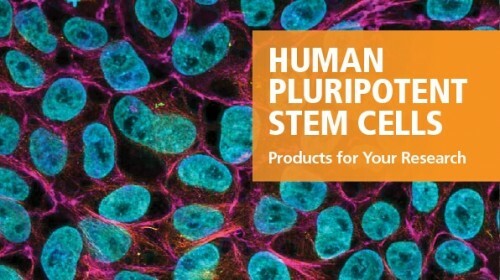 Pluripotent stem cells can become any cell type found in the body. 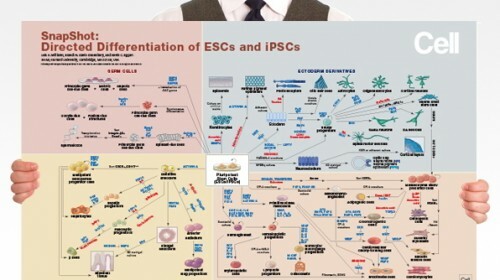 Accordingly, one of the major challenges when working with pluripotent stem cells is producing a highly homogenous population of differentiated cells, which can then be used for downstream applications such as cell therapies or drug screening. 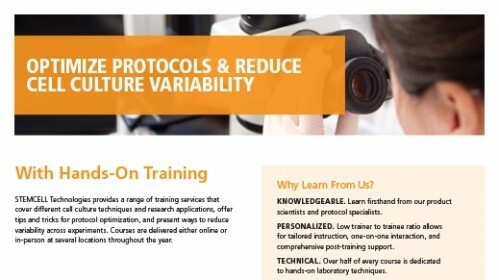 The transcription factor Ascl1 plays a key role in neural development and previous work has shown that Ascl1 overexpression using viral vectors can reprogram fibroblasts directly into neurons. 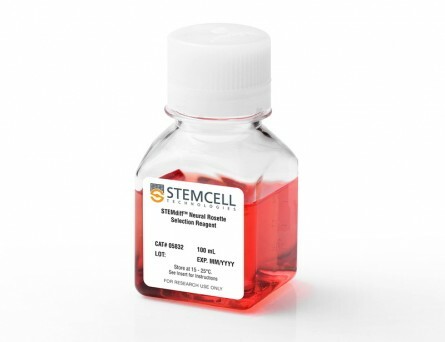 Here we report on how a recombinant version of the Ascl1 protein functionalized with intracellular protein delivery technology (Ascl1-IPTD) can be used to rapidly differentiate human induced pluripotent stem cells (hiPSCs) into neurons. 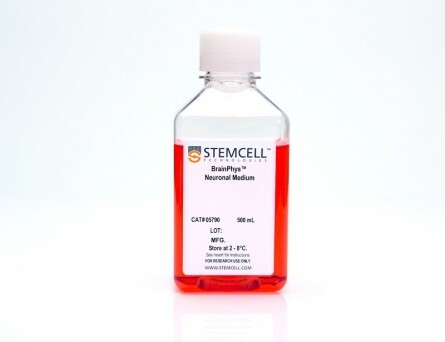 We first evaluated a range of Ascl1-IPTD concentrations to determine the most effective amount for generating neurons from hiPSCs cultured in serum free media. 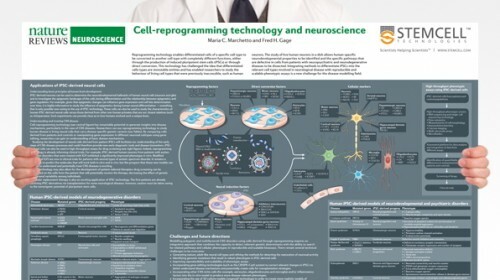 Next, we looked at the frequency of Ascl1-IPTD supplementation in the media on differentiation and found that one time supplementation is sufficient enough to trigger the neural differentiation process. 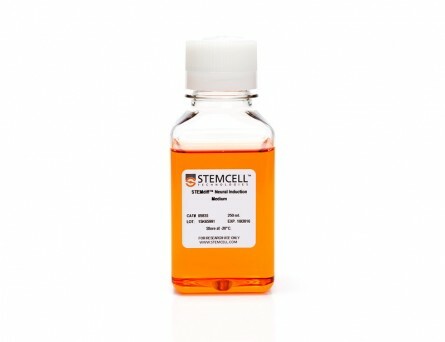 Ascl1-IPTD was efficiently taken up by the hiPSCs and enabled rapid differentiation into TUJ1-positive and NeuN-positive populations with neuronal morphology after 8 days. 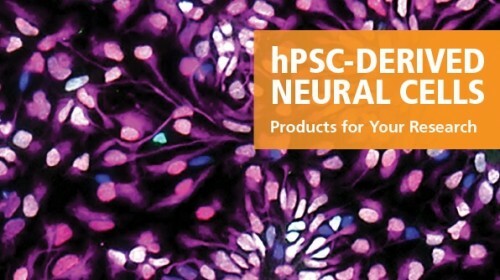 After 12 days of culture, hiPSC-derived neurons produced by Ascl1-IPTD treatment exhibited greater neurite length and higher numbers of branch points compared to neurons derived using a standard neural progenitor differentiation protocol. 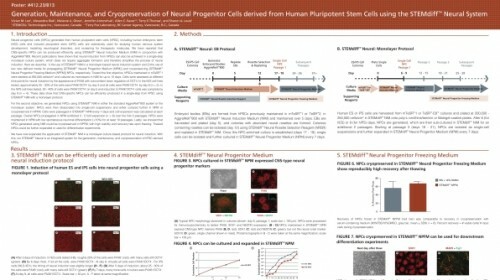 This work validates Ascl1-IPTD as a powerful tool for engineering neural tissue from pluripotent stem cells.